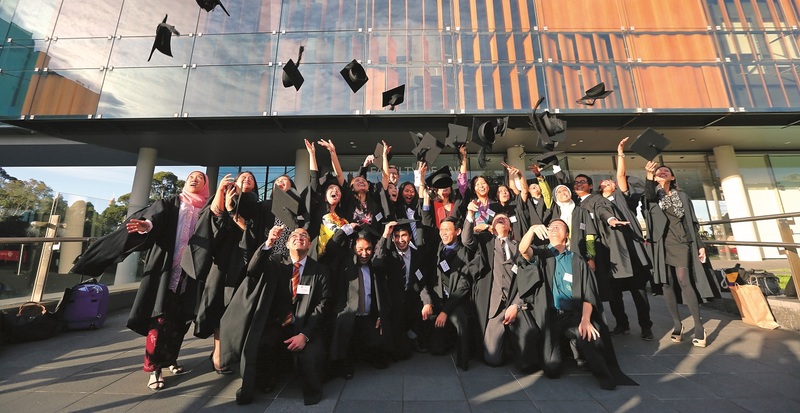 Higher education in Australia is becoming increasingly internationalised, not only through attracting international students but also by taking Australian universities overseas. By leveraging this comparative advantage in education, Australia can reap both the social and economic benefits. 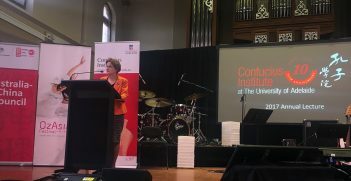 In Australia, when we talk of international education, and particularly international education in universities, we understand its importance to the future of our universities and to our nation. We recognise it largely because international education, of which higher education is the most significant part, is Australia’s largest service export and its third largest export industry, earning $28.6 billion in 2016-17. These facts have now been repeated sufficiently in the last decade that they have become general knowledge. No longer riding on the sheep’s back, nor even dependent on what we dig from the ground, Australia’s prosperity for the first time in its history is in significant part dependent on the international quality of its education—which is in turn dependent on its scholars and in the knowledge they generate and disseminate. International students in higher education in Australia now number more than 300,000, making up some 26 per cent of total higher education students. While some nations with larger populations have a larger number of international students, the proportion of international students in Australian higher education is higher than for any other nation. Academics in Australian universities are also increasingly diverse, though they are slightly more likely to come from the United Kingdom, North America and Europe than from China, India and the countries from which international students are drawn. Moreover, Australian universities have reached out to draw in the best researchers and educators they can hire from across the world, valuing talent above national identity. How did Australia get here? We got to this point because at key moments federal government policy opened the door and Australian universities stepped firmly through. We got to this point because, despite the White Australia policy in place during the years of the first Colombo Plan, we opened our minds on immigration and engagement with our region. We know, according to the Scanlon survey that most Australians today remain convinced that immigration is a benefit to the nation and that multiculturalism is a good thing. The majority have remained so convinced, in about the same proportions for more than a decade, and despite the surges of populism beyond Australia and within it. This has been an important foundation for welcoming international students and staff to Australia and for allowing them the potential to stay in Australia. This has supported international education and it has provided the open borders necessary to support the attraction of talented students and academics that are the wellspring of high quality education and research in universities. Internationalisation is necessary to the purpose of universities. Without the openness that this brings, vitality is sapped and they wither. The breadth of internationalisation that we find in Australian universities is their future and their purpose. And it is from this broad and worthy purpose, that all the benefits, measurable and immeasurable, economic but also profoundly social and human, come to this nation of ours. It is worth encouraging, it is worth protecting, it is a benefit without borders. Professor Margaret Gardner AO is the president and vice-chancellor of Monash University. This is an extract of her speech to the AIIA VIC Sir Zelman Cowen Oration Dinner on 3 October 2017. 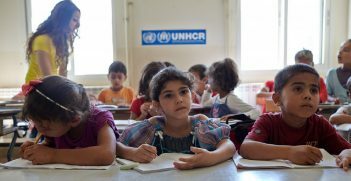 With hundreds of thousands of children being pulled from their classrooms to flee the conflict in Syria and crises elsewhere, Australia, as part of MIKTA, can play an important role in continuing their education. As the South Sudan conflict enters its fifth year, there remain significant barriers to accessing education, particularly for adolescent girls. On World Day Against Child Labour, a focus on education must be at the heart of South Sudan’s recovery.